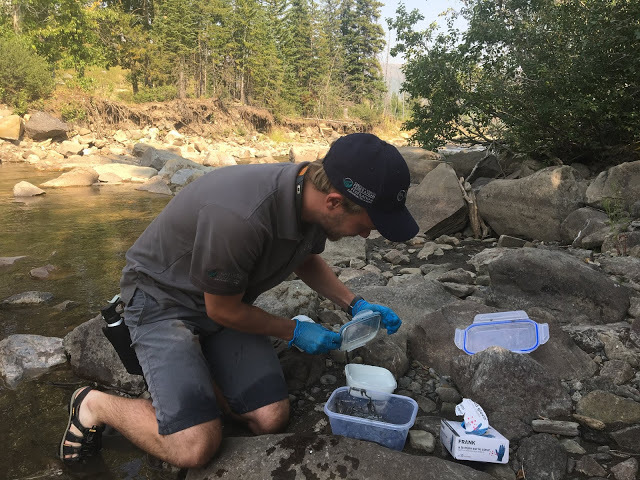 This summer I had the opportunity to assist with a whirling disease monitoring project through Alberta Environment and Parks (AEP), Trout Unlimited Canada (TUC) and the Canadian Conservation Corps (CCC). I am very grateful to be of service as fresh water source protection is a close passion of mine. 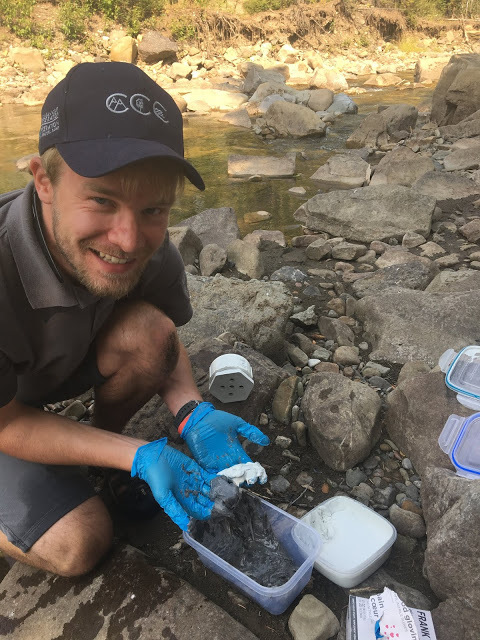 I hope to continue to help improve monitoring and research particularly in areas of water resources as I know the work I am doing is helping to protect places I love to enjoy. 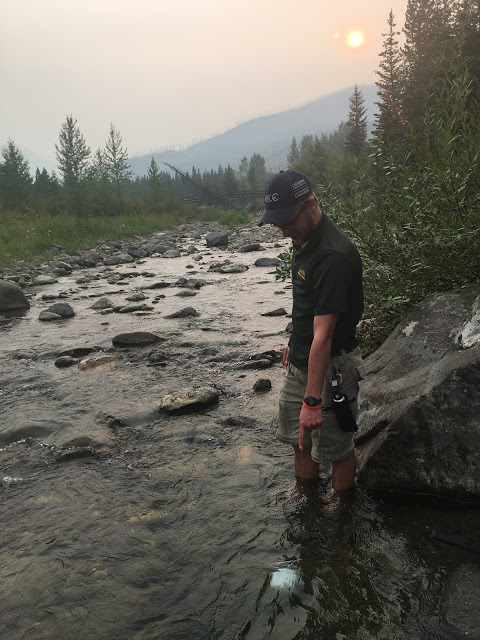 As explained by Trout Unlimited Canada, whirling disease is caused by a microscopic parasite and affects salmonid fishes including trout and whitefish by deforming and killing juveniles. The parasite requires two hosts: tubifex worms, which are found in many waterbodies, and salmonid fish. The parasite is released from tubifex worms when the water temperature is between 10 °C and 15 °C. 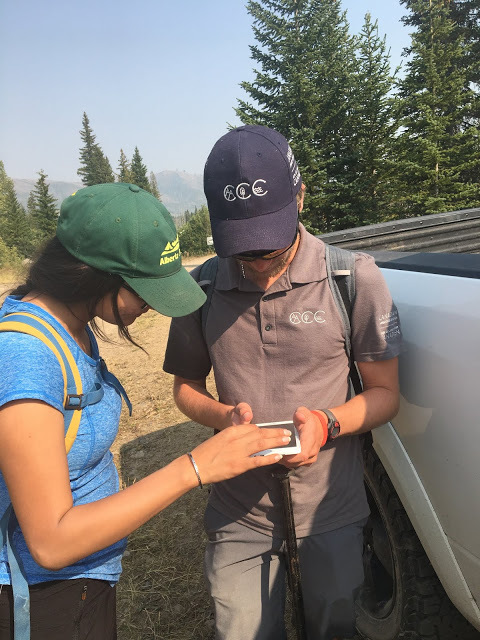 Our team was tasked with installing HOBO water temperature loggers in selected headwaters in Castle Provincial Park that were pre-selected by Albert Environment and Parks & TUC through geographic mapping software and aerial maps. 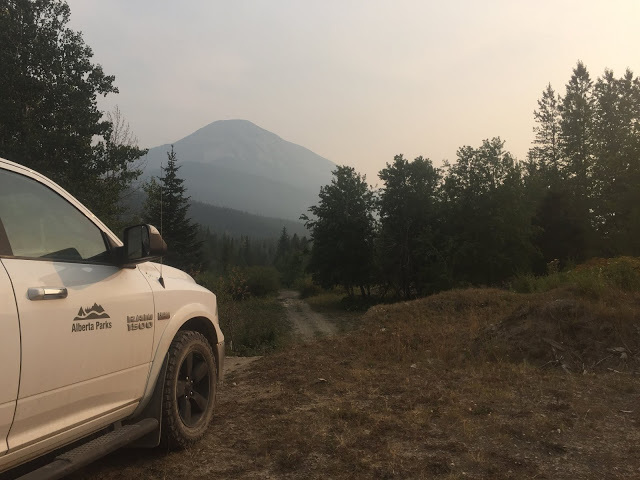 Our team was tasked with installing water temperature loggers in selected headwaters in Castle Provincial Park, which were pre-selected through geographic mapping software and aerial maps. 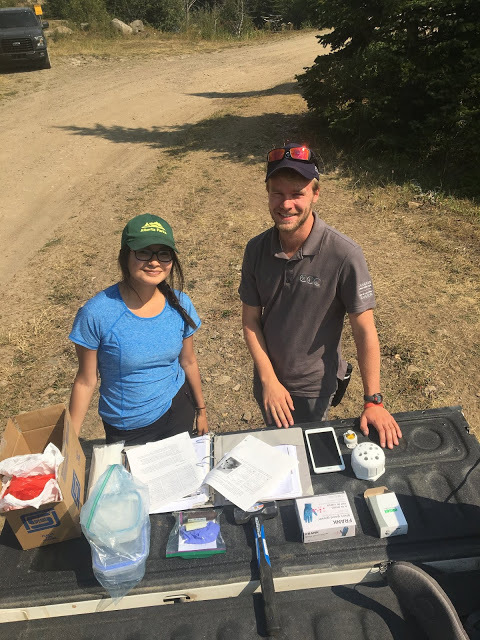 After receiving training in July from Alberta Environment and Parks on how to launch and install these temperature loggers, we geared up to begin the installations in August. In order to properly install these temperature loggers there are key steps to follow to ensure a success deployment. 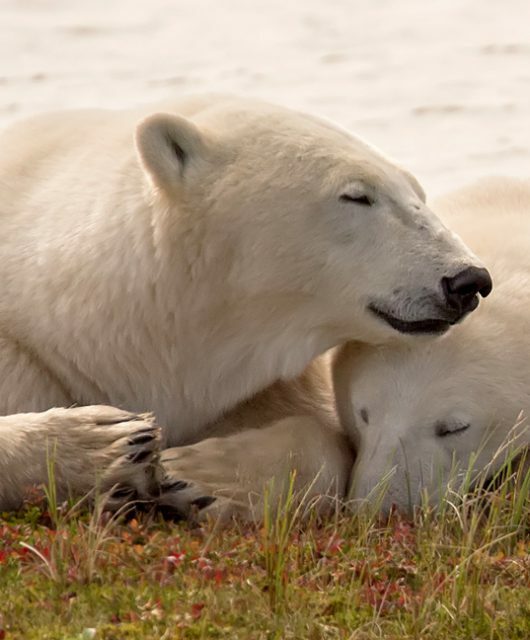 For instance, configuring the logger’s settings is required to set appropriate time interval of temperature recording to sustain an adequate amount of data recorded. In order to properly to install these temperature loggers there are key steps to follow to ensure a success deployment. Other factors that have to be considered are environmental conditions of high flows and hazardous debris that could potentially damage or completely remove the logger from its placement. This was factored in through securing the loggers in a threaded housing case and zip tying them in place to protect from physical damage. In order to prevent further cross contamination of whirling disease across other water bodies our gear was cleaned, drained and dried to remove any sediment material. 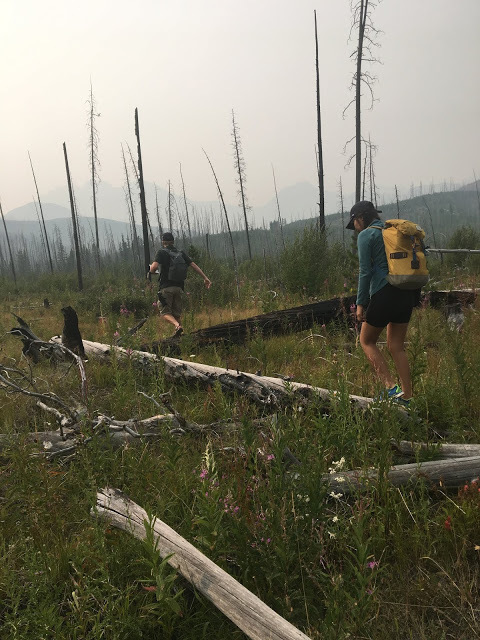 We located the selected logger sites through provided GPS coordinates from AEP, which required a little game of hide and go seek. There are two methods of approach when installing the loggers in a watercourse using either marine epoxy or rebar. The choice of method installation is case-dependent, however, marine epoxy is preferred because it is comparatively the least invasive and known to better withstand the environmental conditions. A critical step in installing water temperature loggers is properly documenting all the details required to have a successful data set and ability to relocate the temperature loggers to download the data. 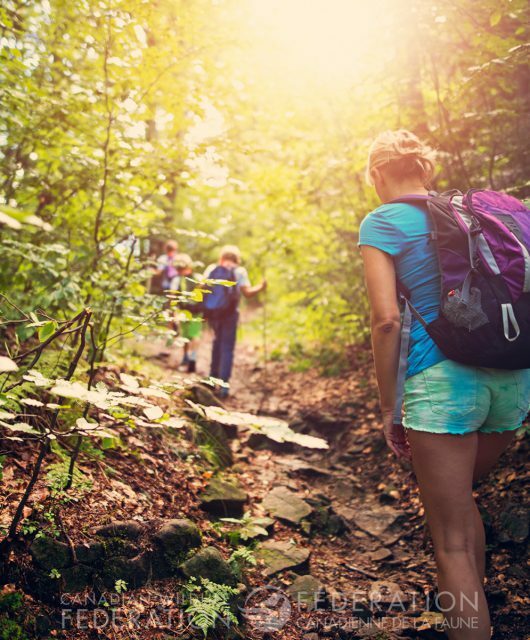 For instance, some common parameters to record is the latitude/longitude coordinates of the temperature logger, site description, data logger serial number, and directions how to access the site. 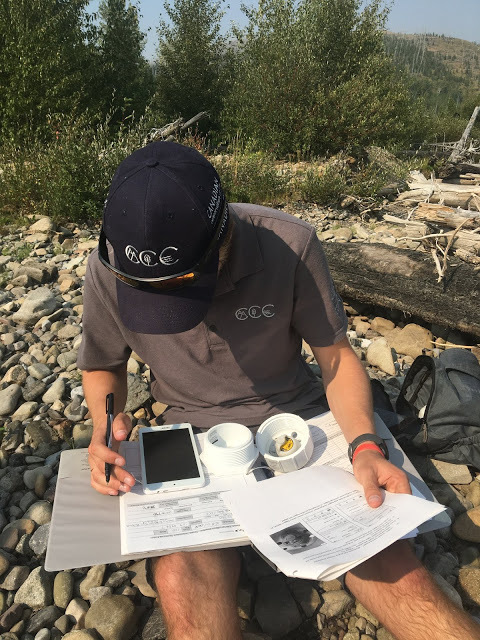 Our CCC team also had the opportunity to assist with the Discovering Didymo Distribution citizen science project facilitated by Trout Unlimited Canada in partnership with the University of Calgary and funded by the Alberta Conservation Association. 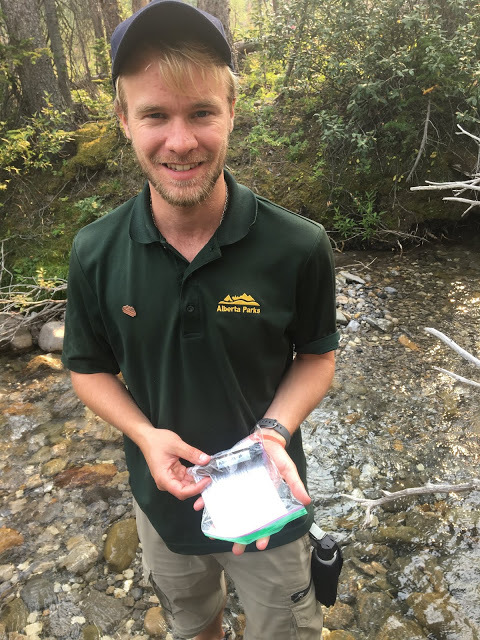 As explained by Trout Unlimited Canada, didymo is a type of single‐celled, microscopic alga known as a Diatom. Diatoms have an outer “shell” of silica called a frustule. Some diatoms, like Didymo, can produce a stalk. Recently, enormous stalk production by Didymo has resulted in thick mats of Didymo in rivers worldwide and has generated concern because of possible impacts on the salmonid fish of these rivers (View distribution map). 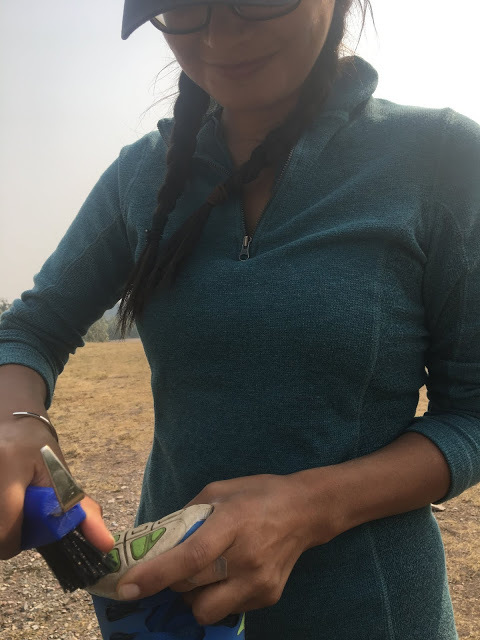 The task we assisted with was sampling various rocks in a watercourse by scraping algae from the rocks using a standardized method. 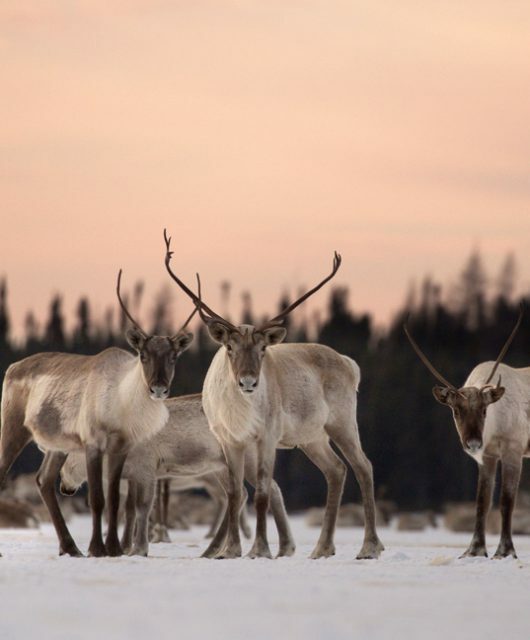 Samples were preserved in a test tube, which will be analyzed at the University of Calgary. 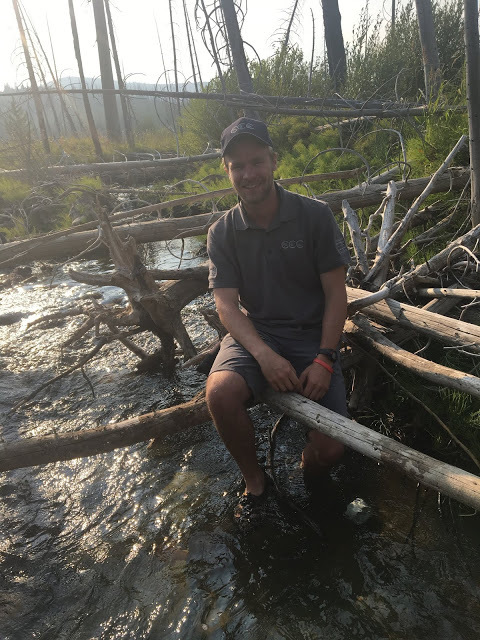 Read more about Jeremy’s experience with CWF’s Canadian Conservation Corps. 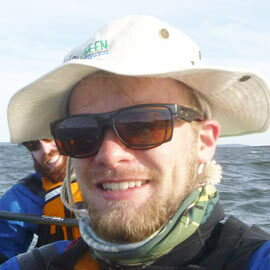 Jeremy Harbinson is a recent graduate from the University of Guelph in Ontario. 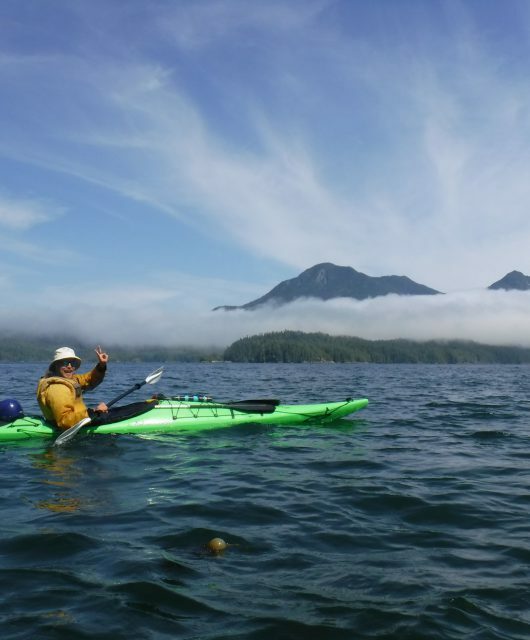 He studied in the Bachelor of Science in Environmental Sciences degree program focusing on resource management. 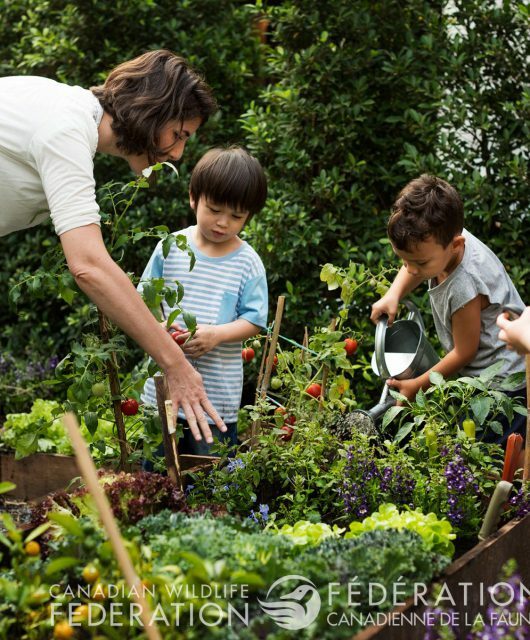 He loves to spend his free time seeking outdoor activities, exploring new areas and playing sports with friends. 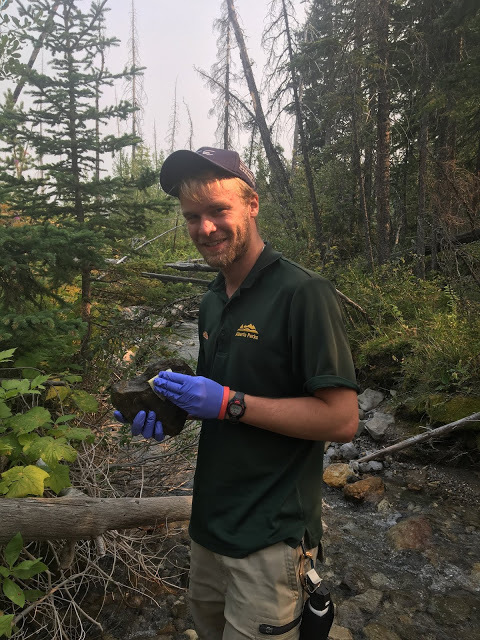 Jeremy hopes to continue to connect his passion for the environment in both his professional and personal life.